Again, it was quite close that I got the bus to Orce when Anne gave me a lift to the bus station. We just didn't watch the time during lunch. I think it becomes a ritual for me to get quite close the bus. Actually it feels in a way relieving because it is the opposite of how I was before my journey. Moreover it shows me that this way works quite well :-). He bought also another cave house for his mother-in-law Leila. In this cave house we lived together with his dogs Tia and Nux..
Jap that's me! Mixing sand, water and plaster together and trying to get the best mixture. 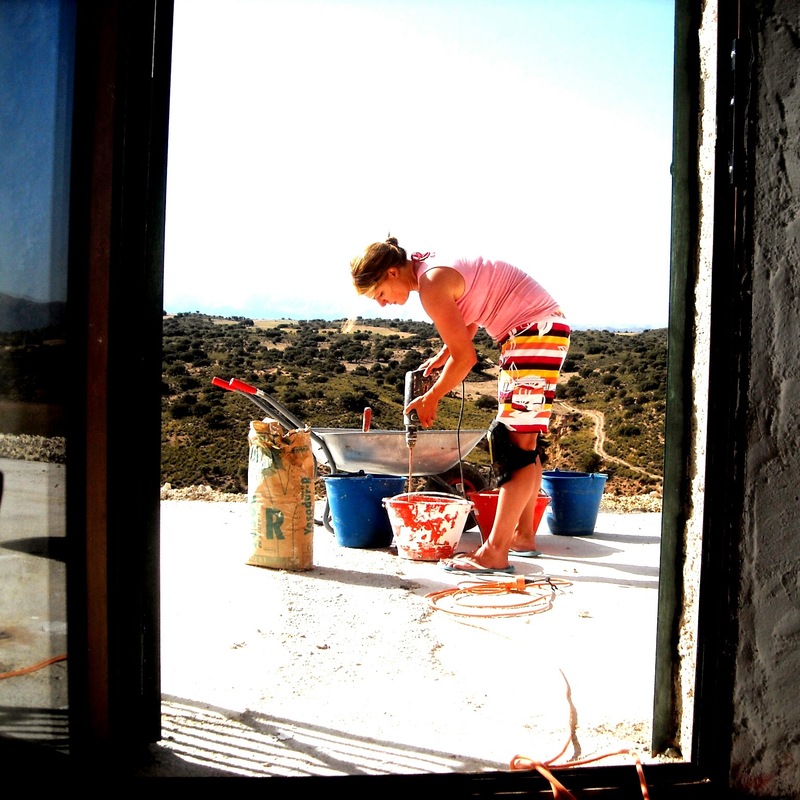 I received a request from my host Alain on Workaway and he asked if I can help working in a cave house in Orce. I found it quite interesting and his mail request was written very funny which got my attention. 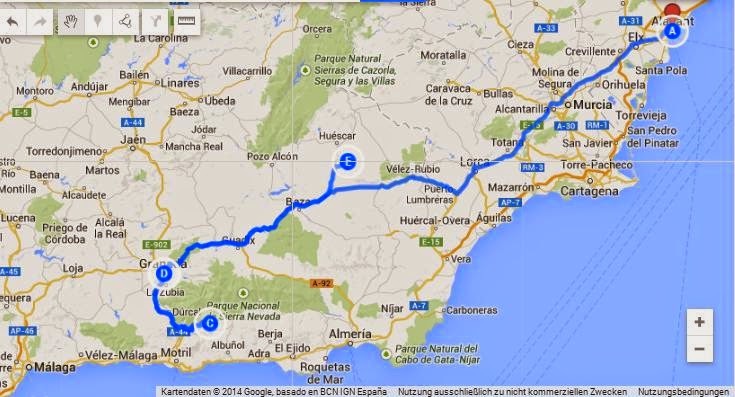 My way through Spain. E is for Orce. C by the way for Anne's place. Alain is a funny and very hospitable guy from Belgium and half Italian who worked a long time as sales manger when he decided to quit his job and buy two cave houses in Spain in 2014 with his wife and mother-in-law. 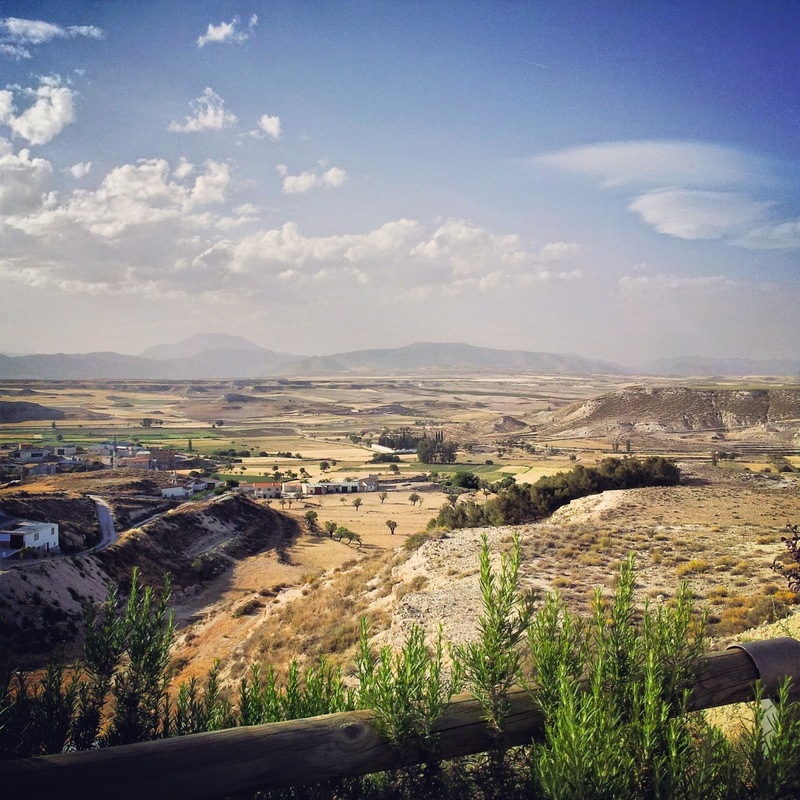 The beautiful view over Orce. I took it at Leila's cave house. How is a cave house owner like? Alain picked me up from the bus station. A tall guy, with glasses, beard , dark thick hair and open body language. For a cave house owner quite normal looking. Of course... What did I expect? A guy with a tiger fur wrapped around the body and a bone necklace? He showed me a bit around through Orce which is a very small and cute village. I saw that he knows almost everyone there and had small talks in Spanish. And he knows a lot about the culture. I was impressed about it. This is something what is very important for Alain. To get in contact with the locals and speaking Spanish. Talking to him was quite easy for me because he is very open-minded, interested in people, straight forward and sometimes a bit provocative. That suited me very well and made it very easy for me to feel comfortable. 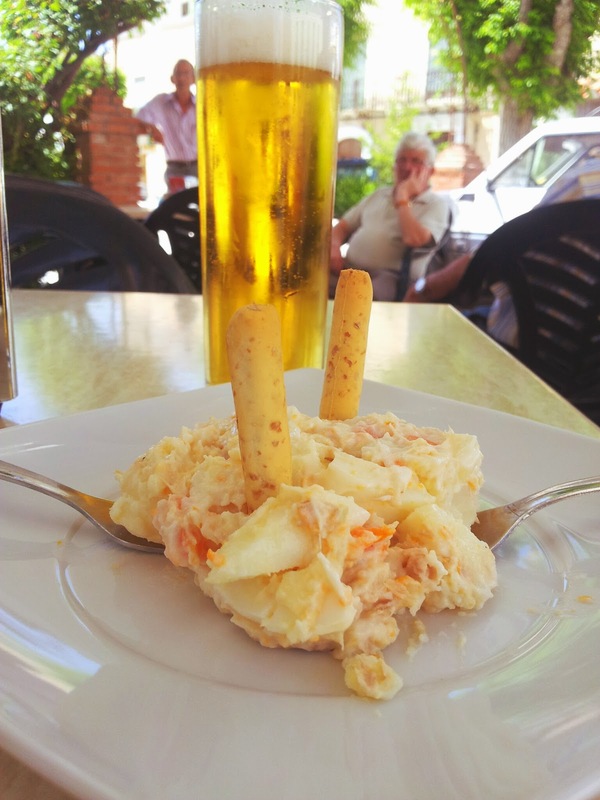 In Orce and the small villages around you get always tapas for free to a drink. So nice! I could quite good understand why he was a successful sales manager :-). Alain was also in the Belgium Army for some years. We often talked during the breaks when we worked in his cave house. The topics were our interests in people and how communication and relationships work. That was for me a very valuable exchange. Despite he was very well organized every day Alain was looking for his keys... It was almost a ritual :-). He said to me that he doesn't like it normal and that was also how he acted. His whole personality had many layers. For example he was a Spinning trainer, also did pool dance and he and his wife had birds of pray. Alain told me that he looked also for helpers with an interesting profile: "Not normal people." I took it as nice compliment for myself! I knew that I am not that 'normal' but good that my profile and photos shows that as well. He also read my blog because I published the link on my profile. I found that very nice that he had read it. He told me later when I went out of the bus, with my blue Ray Ban sunglasses, blonde hair and leopard backpack that his first impression of me was: fragile. I found that quite interesting.Actually that is something what I wanted. I mean not being anymore the big sister and rescuer. I also want to be protected or rather the feeling of it. Of course I am able to do a lot of things on my own but... I also like it when someone is there and take care of me, decides things and gives me the feeling of being protected. 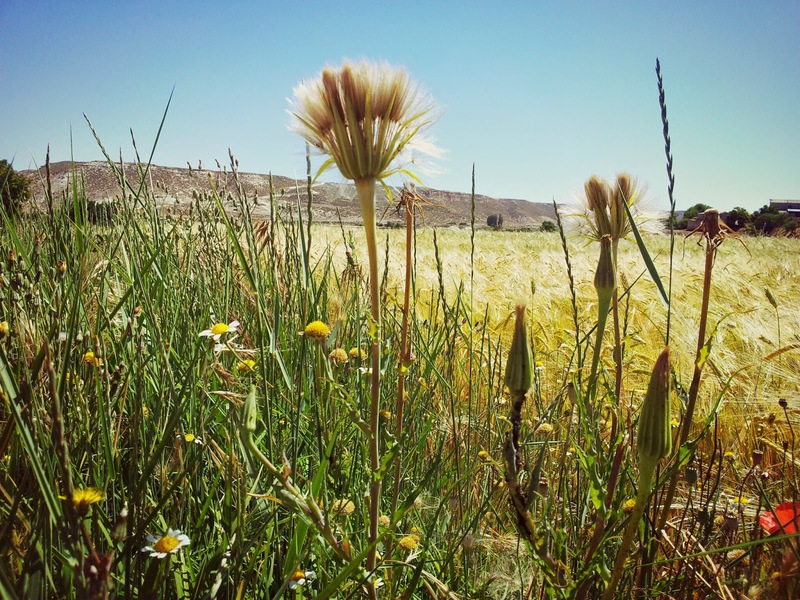 I experienced that in Alicante with Yeray and it felt great! I still take a lot of this experience. It showed me what I really want. By the way: Interesting also because I just bought the sunglasses because they were blue, dyed my hair symbolic and the leopard backpack... Well, I just didn't want to look like a normal backpacker :-). What I really love about my kind of life now is to work and live close together with the hosts. Therefore I get a great inside in different cultures and mindsets. Alain takes it very serious to be a good host. He spent a lot of effort to make his workawayers feel very comfortable and integrate them completely. I could see it was very fun for him and for me as well. For example: he took me with him to his friends cave houses where I had very great cakes like Flap Jacks made of Carol a very nice English woman, brought me to a city festival. He also went with me to the small history museum in Orce and to the castle and explained a lot to me. So boredom was unknown and it was very nice for me. I know that three former workawayers will come back to his place and help him again. It was said that the house where the museum was would be haunted by a ghost. A guy who killed babies and bathed in their blood... Well the story of the guy is actually true! But his house is beautiful as you can see here. 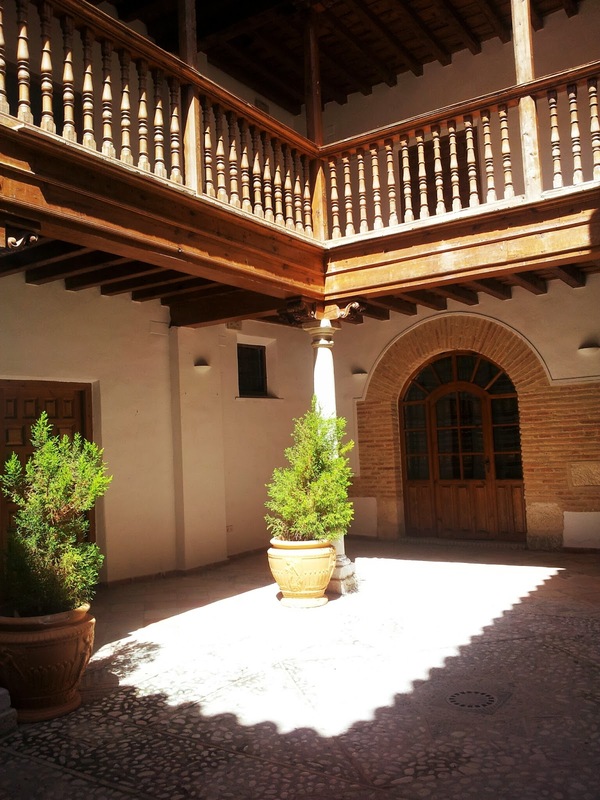 Nowadays it is the museum of Orce. One evening Alain and I went out with Spanish twins. I knew them from an Inter Cambio where Spanish people and foreigners meet together and talk in Spanish and English. Well, it was mostly in English :-). We caught up with the twins went around from bar to bar. Everywhere we got a lot of tapas for free. 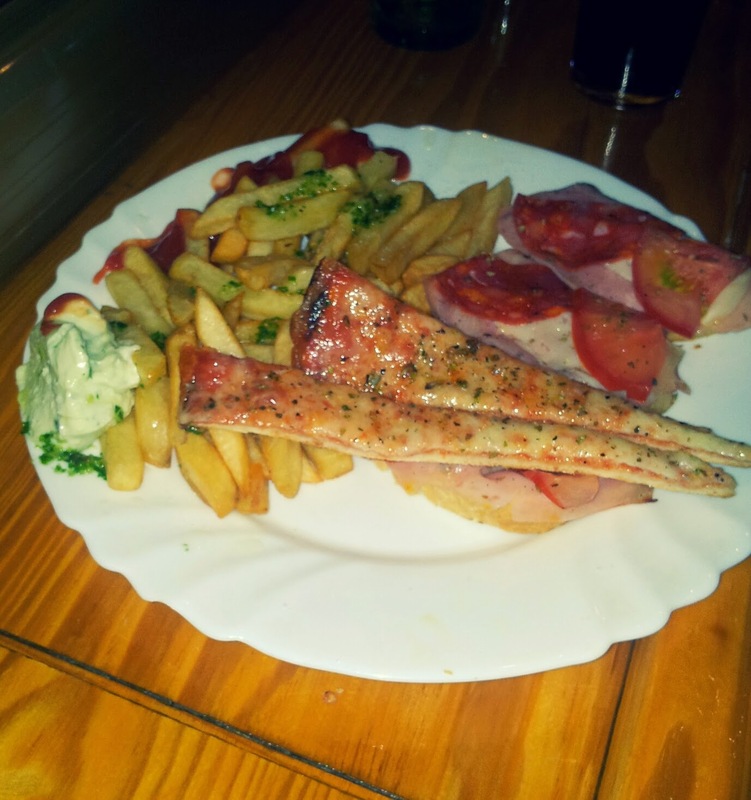 That was all free tapas! Not that healthy but for free :-). After a while I was so sleepy that I almost fall to sleep on the table. It was just too much for me and I apologized because Alain was so kind and I was just to tired to party. I was very excited to see his cave house in the mountains. It was quite a long drive to it through the countryside of Andalusia about roads like I just knew from movies about deserts. So not really proper roads. 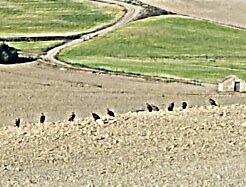 On my first day we saw some vultures! I had no clue at all that they live in Andalusia... I took the following photo from far away of them. 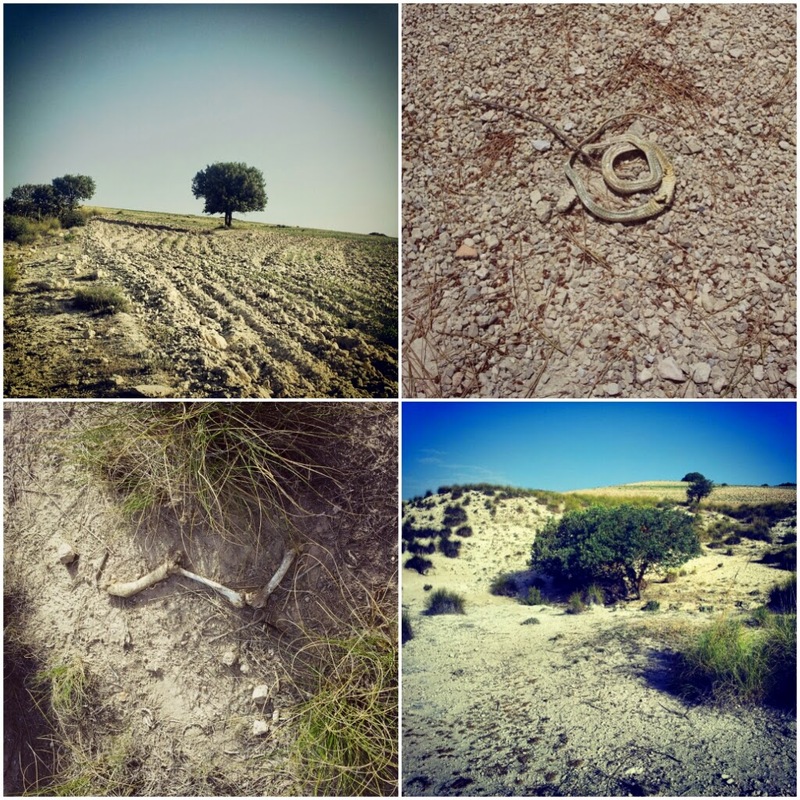 Everyday when I arrived with Alain at his cave house firstly we went for a walk with the dogs through his property. His property was quite huge and it smelled there like tomato sauce because there grow a lot of different herbals like thymine, rosmary and oregano. How great is that? The surroundings were very beautiful and once again I appreciated the silence and nature far away from the city life. 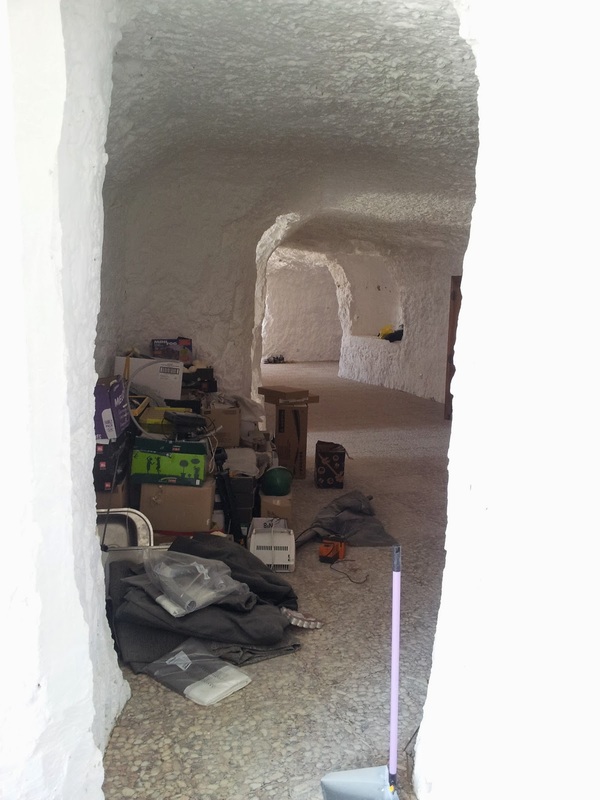 The following photos show how a cave house look like from outside and inside and what I exactly did there. Inside. There is always a constant temperature of around 18 degrees. Me in construction clothes painting the wall. Plastering the gaps with knee protection. I don't know why I got this. 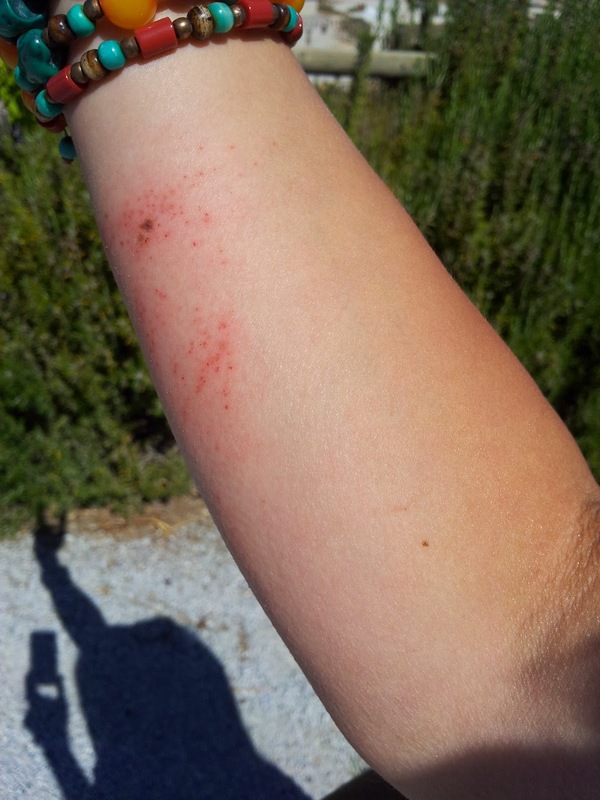 I think it was a allergic reaction to the paint nothing more. After work it was time to cool down... 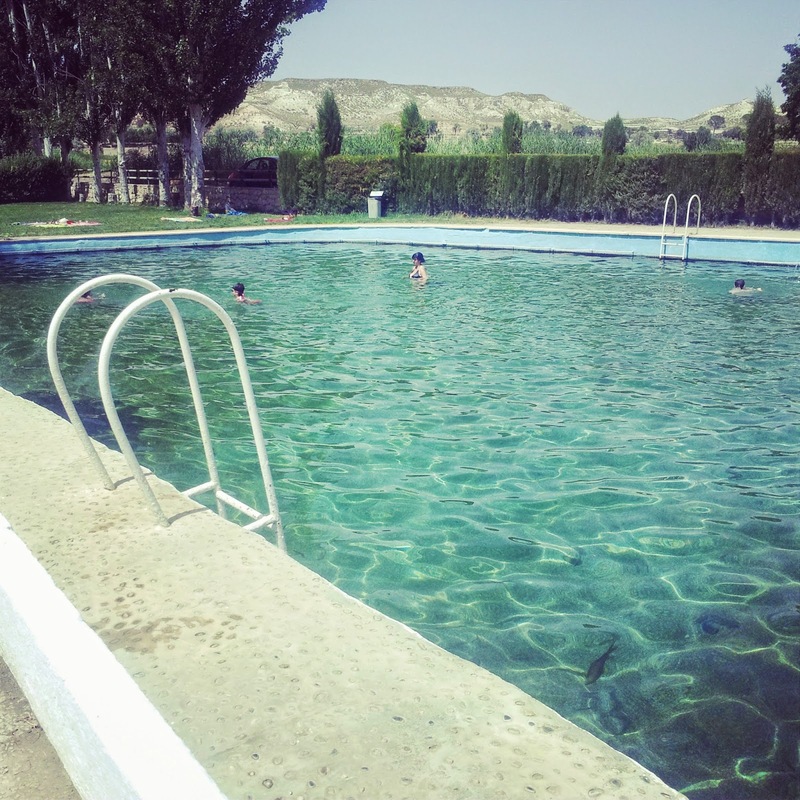 So great that Orce has a public swimming pool and it is for free! The water came from a river and fish are swimming inside. No green hair anymore :-). After work Alain and I went to the public swimming pool which looked like in the 70ies. I have to say that I was a sissy and needed a long time to go into the water. That was my ritual. It was for me 'mucho frio...'. It was really nice to work with Alain. I remember that I asked him if he ever thought that it would not work out to finish his cave house or some things. He just said: "I knew it will work out!" I got a lot of inspiration through our chats and his mindset. I had also to check out the flights back to Dublin because I saw that flights in July are quite expensive back to Ireland. It was three times the price of my flight to Alicante. I wrote down the affirmation in sense of that I have a cheap flight, on a suitable date from a good place. Three days later I checked during a break the flights again, saw the same high prize, clicked on it because I didn't want to spend more and it changed for some reason to the half! Alain stopped his activities online and I got a great connection and booked the flight mid July from Madrid to Dublin. So great! Well, I believe in affirmations :-). The definition of normal and what comes next? 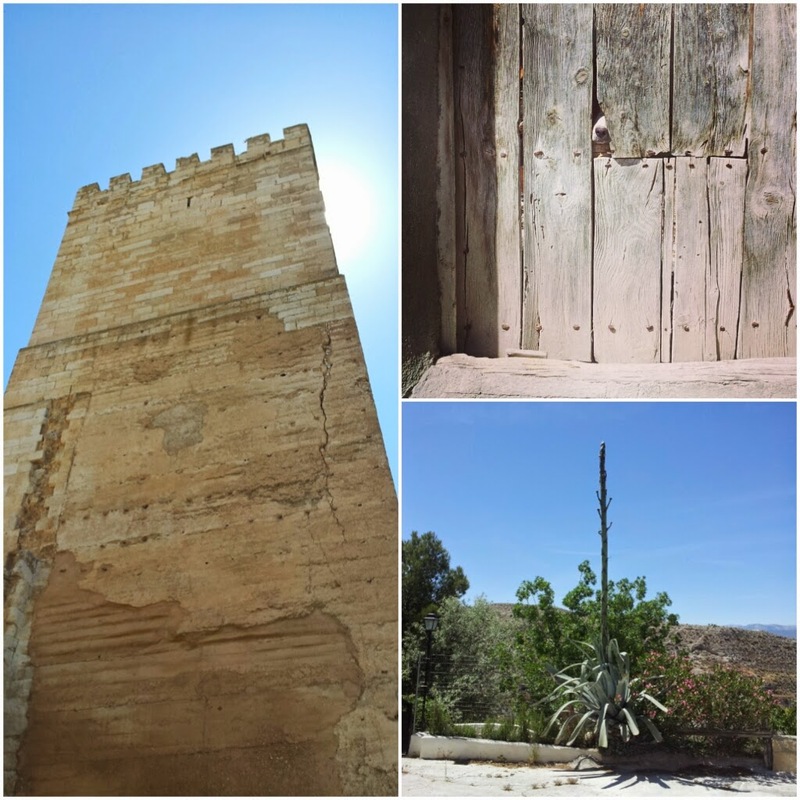 Thanks again for reading my story about my experiences in Orce where I learnt a lot of new skills and the definition of 'normal'. What comes will come... and it is great! After Alain and my booked flight I decided to take a break for myself and explore Spain. I thought if someone will write me an interesting offer or I find something on my journey, then I will go for it. My first destination was Seville and than I wanted to go to Cádiz. Read next time about my great reunion with my old friend Marco from Muenster in Germany. It was almost a coincide that we caught up. 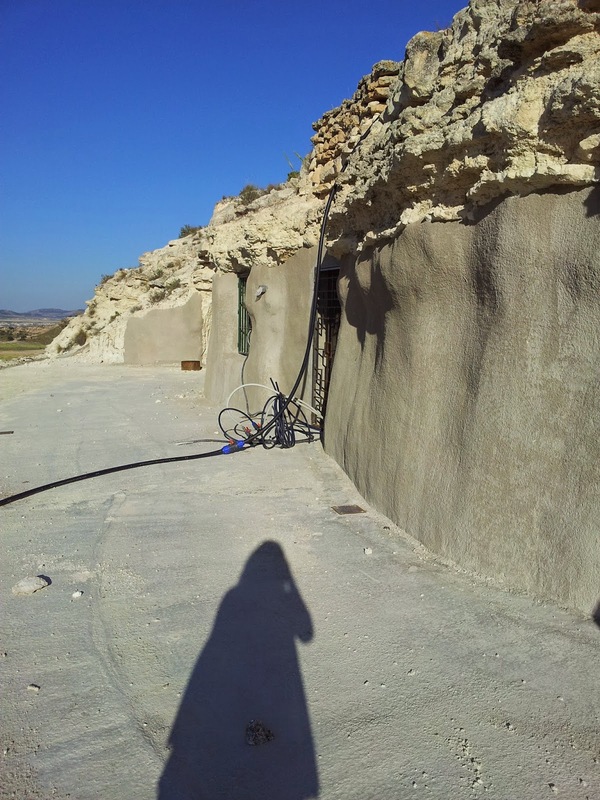 I helped Alain at his wonderful cave house in early February this year. It was nice to read your report and enjoy your photos! Well done you. We will be back, as you say! Big hugs and good luck with your next moves. Alain told me about you and how great it was to work with you! Thank you very much for visiting my blog. Enjoy your next stay at Alain's place. Have fun and big hugs!